If you’re considering selling your home in Rochester, MN I’ve included a general overview of the entire process below. If you would like more information or to discuss the specifics of pricing, my marketing plan for your home or any other questions you have about selling, I would be happy to meet with you for a no obligation appointment. Click Here to set an appointment and complete the form or call me at 507-252-6745 for a Competitive Market Analysis (CMA) of your home. We can set an appointment to view your home and go over the market analysis of your property. At that time I can also answer any other questions you may have like how to best prepare your home for the market, my marketing strategy and the associated fees and expenses in selling a house. Click Here for a sneak peek at a few of our services I can offer. From preparing your house, to setting the price and showing your home when it is on the market, a REALTOR will simplify everything. Keep in mind the right agent is often the key to a successful real estate transaction. Our qualified professionals will guide you through the entire process. Correctly pricing your property is vital. Price your home too low and you’ll lose money; price it too high and buyers will shy away. Your REALTOR will be able to give you a Competitive Market Analysis (CMA) for your particular property, which will help you determine the value of your property. They can also provide valuable insight and advice on the condition of the present market. 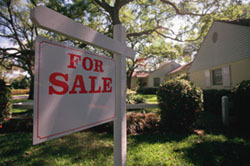 When selling your home, you will want effective advertising and marketing. From descriptive, colorful ads to internet options, our Realtors are able to attract potential buyers. Promotional campaigns work best when the home is priced right, the home is properly prepared, and the market is a sellers market. Other factors that would limit the affect of promotional campaigns would be the competition of other active homes on the market and financing requirements from lenders. Whatever work has been done up to this point to sell your home, will only have an effect when a buyer walks into your house for the first time. Never underestimate the affect of positive showing. There are numerous ways to prepare your home for a showing. There may be a variety of reasons that have led you to the decision to sell your home. From up sizing to down sizing or a cross-country move, it’s exciting to start new adventures! The internet can be an amazing resource for any property seller and we’re here to help. Selling a home can be stressful and time consuming without the right resources and information. There are plenty of practical matters that need your attention, and with our online resources, you can avoid the potential hazards with someone by your side. The overwhelming majority of home sellers find it advantageous to team up with a REALTOR. Rather than attempt to learn about selling a home, most home owners feel that it is better to entrust the sale of their biggest investment to a professional. There are a number of complexities of modern Real Estate transactions that should be considered, not to mention the access to MLS, advertising, marketing and screening which are available to assist the seller. Advice can be given on the condition of the market at the time you are considering selling and your REALTOR will also be able to give you a Competitive Market Analysis (CMA) for your property, which will help you determine its value. Today’s buyer is well informed and price sensitive. A property that is priced over the market can often deter buyers who are serious about finding a property. If the property is under-priced, it most likely will sell quickly–to the detriment of your net proceeds. Care and research should be taken when establishing the original listing price. It is time to start looking at your home differently and unemotionally. Look at it no longer as your home, but as a product to be marketed. Be aware of the things you can and cannot change about your home. This knowledge will allow you to concentrate on those items that will bring the highest rewards. Have a clean, crisp lawn. A bit of fertilizer makes for a greener lawn. Ensure all exterior lights are operational. Ensure all exterior windows are clean and operational. Sweep walkways and keep clear of snow or ice during winter. Most buyers are not able to see the potential beyond what is directly in front of them, so help them out! Present your home dressed in its best! Do not do anything expensive, such as remodeling. Here are some minor investments, which may have some major returns. 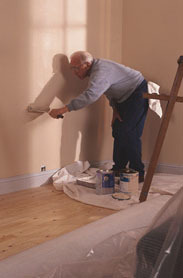 Paint – When it comes to preparing a house, painting gives you the best return for the money spent. Flooring – At the very least, all carpeting needs to be steam cleaned. Any worn, stained or foul smelling carpet should be replaced and any flooring that is cracked or damaged, should be replaced, if possible. Clutter -If something is not necessary for your day-to-day life, box it up and store it or throw it out! Closets – Need to be neat, clean, and organized. Cleaning – The cleaner your house is, the better. Dusting, washing, waxing, and/or polishing everything will always make a good impression. Lights – Clean all the fixtures and make sure all the bulbs work. Windows – Replace any cracked or damaged windows. Below is a more detailed guide on how to prepare each room of your home for showings. Arrange the furniture to compliment the flow of traffic. Arrange the furniture to compliment the flow of traffic and give the illusion of space. Make sure all light switches are operational. Polish, mop, or steam clean all floors. Make sure they are clutter free (do you detect a theme?). If the basement is damp or musty, try running a dehumidifier. Clean/polish the floor. Consider replacing it if it is worn out. Clean and use whitening products on grout in tiled areas. Repair or replace any dripping or leaky faucets. Clean and use whitening product on grout in tiled areas. Clean shower doors so they sparkle. Most of the time you will be given at least a couple of hours notice before showing your home. Before you show your home add these small but important finishing touches. Your home will then put its best foot forward! Light and Bright – Whether day or night, a lit house gives a “welcome home” impression so turn on all the lights, both indoor and outdoor. Open all curtains and drapes to let in maximum light. 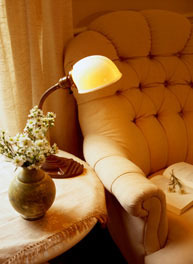 Your home will look more cheerful and the extra light helps prevent harsh shadows. Pets – It is best to try and take your pets with you while your home is being shown. If that is not possible, at least keep them outside. Animals under foot will put a damper on a showing. Once an offer is made, if you intend to accept the offer, or make a counter-offer, do it as soon as possible. Keep in mind that at any time prior to accepting or countering, a buyer can withdraw their offer. When you make changes to an offer, written approval of all parties is required for the contract to be enforceable. Know that even minor changes facilitate the opportunity for either the seller or buyer to change their mind. To put it simply the last part of the home selling process is closing. It is the time between signing the purchase contract (once an agreement on price and terms has been reached) – and the day the deed is actually recorded transferring title. Once everything is signed, then escrow closes and your home is sold.